This set of 6 tea stirrers features a large natural crystal in an art-deco style cage. 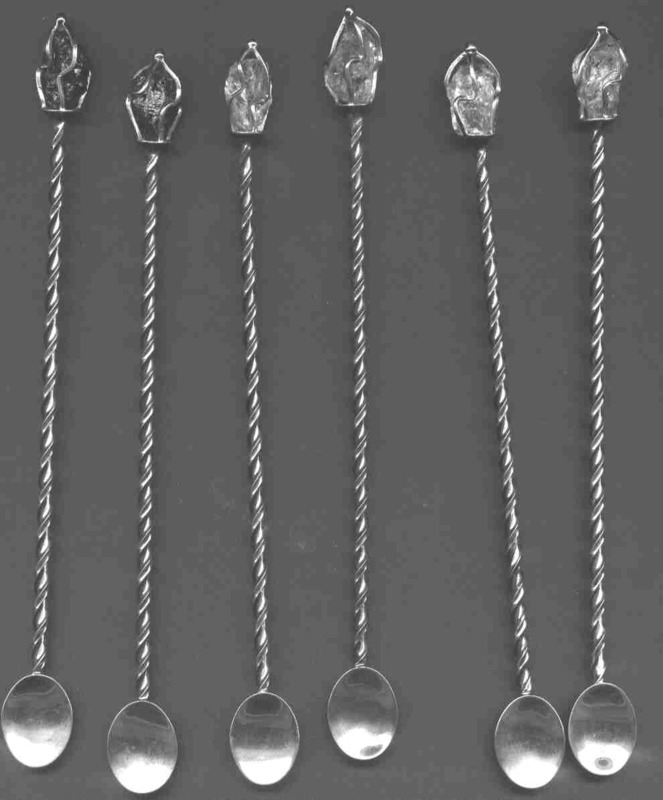 The spoons are marked sterling, but look like they have a rhodium finish (to prevent tarnishing). I suspect that the spoons were made in Brazil because I have seen similar pieces from there, but the retailer is marked "le Beau" which looks like a French name to me. The first two are Apatite (I have been told), then a white quartz, two citrine, and another white quartz. I am showing the whole spoon in grey scale so it downloads faster.